Combine all ingredients in a mixing glass. Add ice and stir. Strain over large rock in a rocks glass. 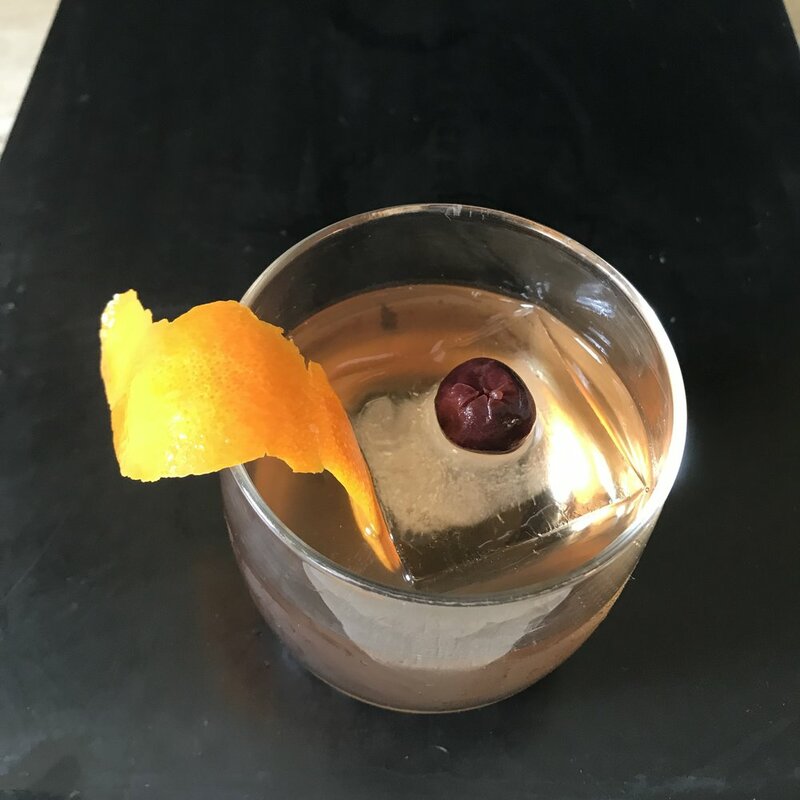 Garnish with flamed orange peel and boozy amarena cherry. Note: American Spoon brandied cherries can be used as an alternative. Combine in saucepan and simmer on low for 5 minutes to integrate flavor. You can also skip the heat and combine ingredients and let marinate for 24 hrs.